We locally produce an all-natural 30 SPF broad-spectrum sunscreen using fair-trade ingredients sustainable sourced in Africa. Sunscreen in Mozambique is difficult to find and when it is available is very expensive. 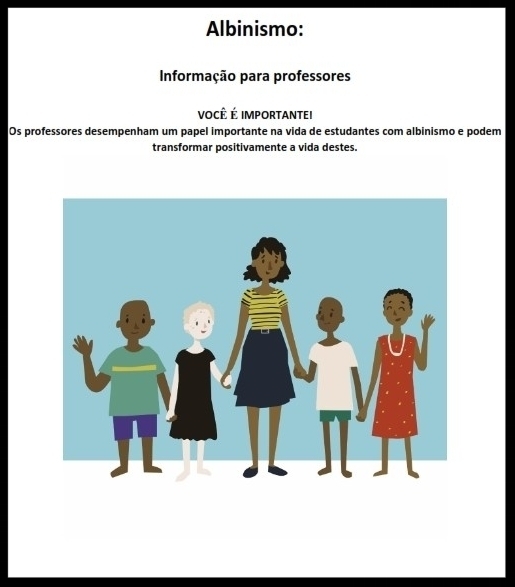 We produced an 8-page teacher guide which explains what is albinism and how teachers can help their students with albinism succeed in school. The Nampula Provincial Education Department will help us distribute the guide to every school in the province. And our activists will visit the schools to present and discuss with the teachers and staff. Improving access to medical care. We are working with the head of the Nampula Provincial Hospital and the Provincial Ophthalmology and Dermatology Departments to provide Albinism clinic days, where people with albinism can receive free consults for their eyes and skin and schedule free surgeries or fitting for glasses. We are also working with Social Services to ensure that the district health posts will provide free care to all people with albinism. During community meetings and in-home visits we distribute our Sombra da Arvore (Shade Tree) Sunscreen. 85% of Africans with albinism will die before the age of 40, mostly due to skin cancer. There is little to no cancer treatment available, especially outside of the cities. 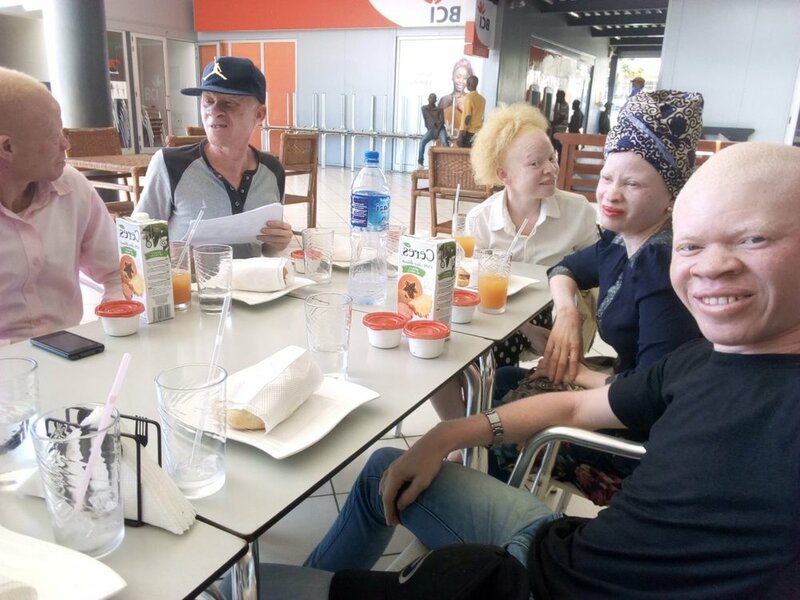 Many people with albinism and their families do not understand the cause of albinism, the dangers of the sun, or the difficulties with their vision. We work with individuals and communities to them understand how to protect their rights and health, we help dispel myths, and give them the tools to become advocates in their communities. We hold quarterly community meetings with for people with albinism and local officials and leaders providing a platform to address the short-term and long-term needs of the community. Our activist also visit the homes of people with albinism 4 times a year. Training local activists and educators. The input of local people with albinism is an essential part of planning our activities, education program and overall approach. We have held educational forums and training sessions to help community members to become effective activists, advocates and educators. 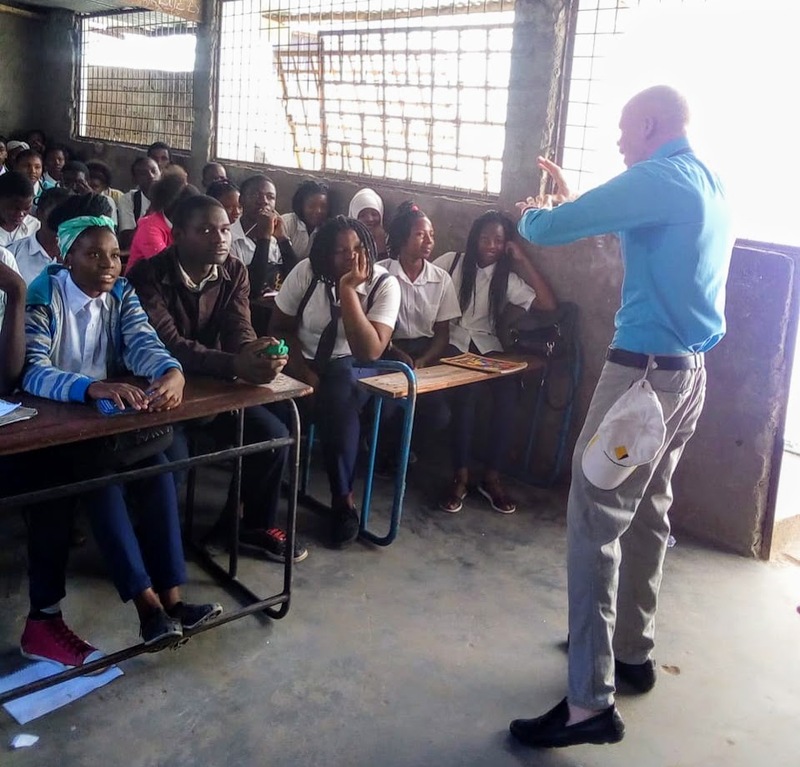 Our activists are engaged in visiting the homes of people with albinism to distribute sunscreen, conduct our survey, and educate the families, as well as, holding discussion and lectures at schools.